Now, you never need to worry about your luggage getting lost with these personalized luggage tags! 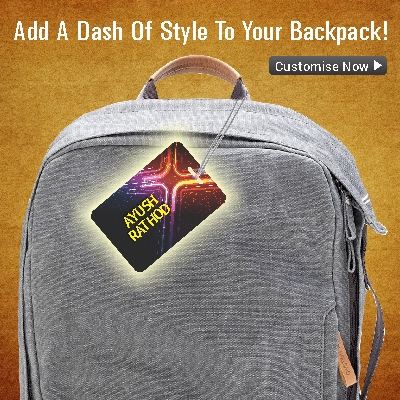 Make your travel bags look more trendy, attach customized luggage tags to them. You can also surprise your tiny tots with customized kids bag tags with their favorite cartoon characters and much more. 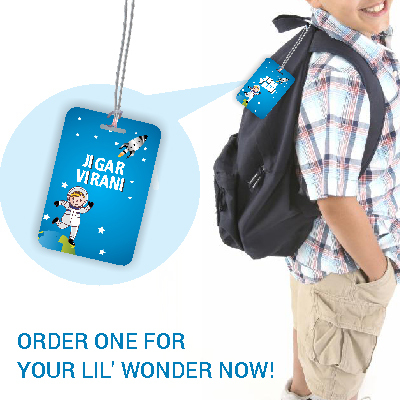 Order name tags for kids in lovely designs and see your little angel flaunt it everyday in school! 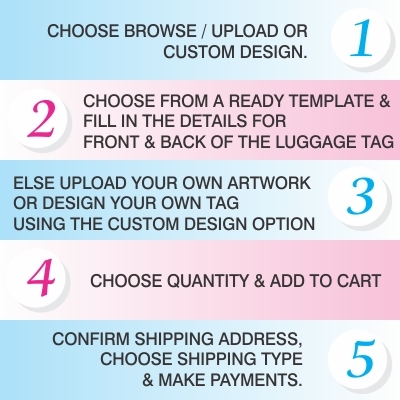 We make custom printed luggage tags as unbelievable prices, order one now! It's important to keep a track of your luggage when travelling and Custom Luggage Tags are the best way to do that. Luggage tags, also add a pretty look to your bags. 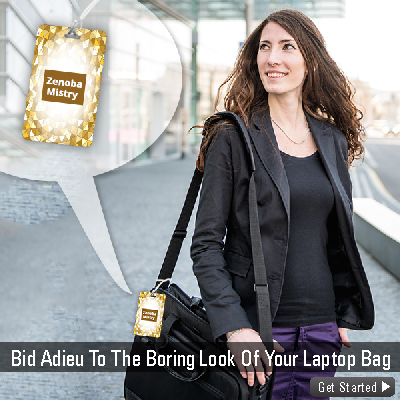 There is really no reason why you shouldn't be purchasing Personalized Luggage Tags Online. You can make and print luggage tags for you and your family and friends travelling with you. Add all your contact information on the luggage tags for easy identification, should the need ever arise. Even more, when your luggage goes missing, it's easy for someone to recognize the luggage owner, reach you and return your belongings easily to the right person. From stylish to minimalist design, whatever type of luggage tags you want to print, we will make it happen, in a click for you. Not just prettiness for your travel bags, you can now add Custom Luggage Tags to your purses, handbags, your kid’s school bags, totes and shopping bags too! Print vibrant designs to cartoon characters, something your kid loves. Add it to his bag and see how happy he will be to share the same with his friends in school. For Luggage Tags Online India, Reliable Prints offers an array of choices. From colorful name tags for your kids bags, to stylish personalized tags for your laptop bags. We print luggage tags, to suit everyone's need, taste and style. In doing so, we offer utmost convenience, ease at unbelievable pricing. You can create a luggage tag or ID tag using various templates on our website too. Get as creative as you want, if you are not happy with one, you can anytime select another option. Once you are sure about the design, all you need to do is make payment and add delivery details. Your tags have gone straight for printing. If you have a design all ready for printing, that's great. You can upload the design on the website, validate the layout, add your delivery details and confirm the payment. Your customised luggage tags are now ready for printing. Gift something unique to your special ones; gift them personalized luggage tags. 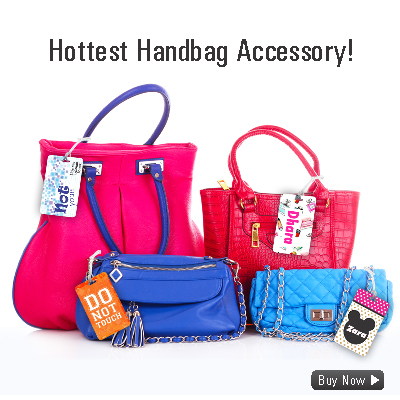 Be it a bag tag for school bag or laptop, they seem to be the coolest trend today!